Eating disorders among the young are a serious public health concern. 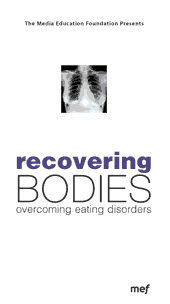 In Recovering Bodies the stories and testimonies of seven college students show the wide range of pressures that can lead to disordered eating, as well as the variety of psychological and physical symptoms involved. Full of useful information about successful recovery and healing strategies and with the expert commentary of professionals, Recovering Bodies should become a standard tool of health education in any curriculum.